I was browsing my typical batch of favorite blogs and I came across a post that discussed how to use Dropbox to centralize sketches. Now, this is a great idea in my opinion as it allows me to work on the same file from multiple computers, back up the file, and keep a track of the different versions just in case I screw something up. Here is a screenshot of my setup and a link to the author’s site. 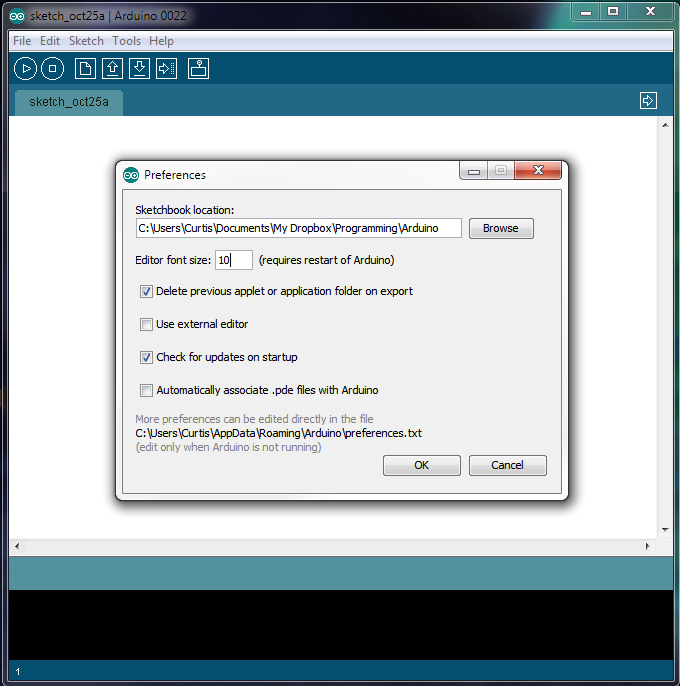 All you need to do is click on File -> Preferences in the Arduino IDE and browse to the location in your Dropbox folder that you want to use for your Arduino sketches. You can get a free 2gig account from Dropbox which may be plenty for most. The MIT High-Low Tech Lab posted a tutorial on how to program an ATtiny45 or ATtiny85 micro-controller using the Arduino IDE. This functionality is accomplished by using a subset of the Arduino libraries to add a set of core runtime source files to support the ATtiny45/85. 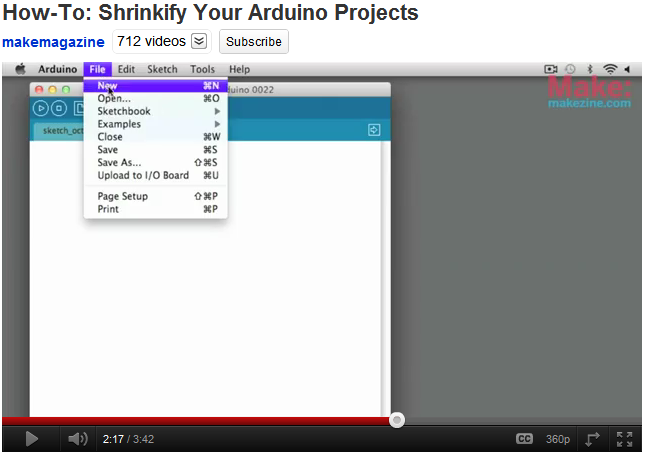 Matt Richardson of MAKE Magazine posted a video demonstrating how to use the Arduino IDE to program the ATtiny. There is also an open source project called the “Arduino-Tiny” that enables Arduino users to work with the ATtiny84/44/24, ATtiny85/45/25, and ATtiny2313. 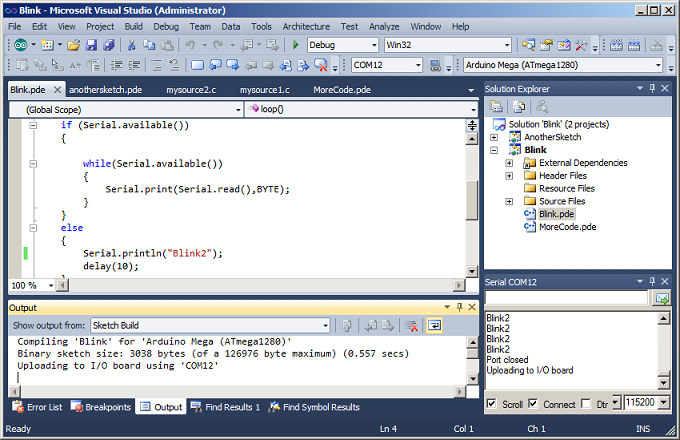 ** Update ** This tutorial has been updated for the Arduino IDE V1.0 and includes some updated commands. Check it out here. I would love to get into near-space exploration projects. One of the more cost effective approaches is with High-Altitude Ballooning (HAB). High-altitude balloons are unmanned balloons, usually filled with helium or hydrogen that are released into the stratosphere. They generally reach an altitude between 60,000 to 120,000 feet (18 to 37 km). 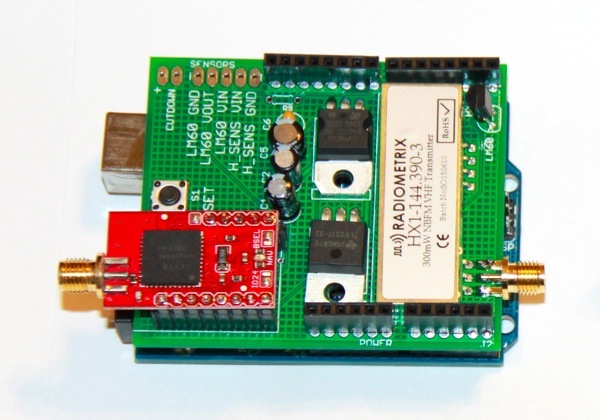 Two open source projects that I came across are the Sparkfun HAB by Nate and Trackuino project by Javier Martin. 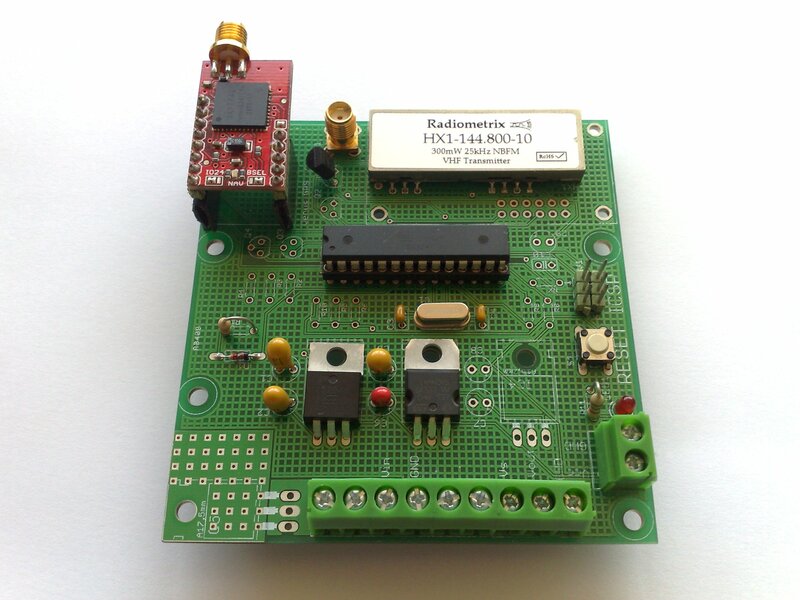 Kyle Crocke has developed an Arduino shield based off the the Trackuino project. I’ll be studying the above designs so that I can start experimenting. Designing a circuit board is only part of finishing a project. Finding components is probably one of the most tedious and mundane tasks. Adafruit put together an article and identified some sources for finding parts. This will come in handy in those situations where your primary vendor is out of a specific component you need. I usually purchase my parts from either Sparkfun, Digikey, Jameco, and/or Mouser. There are numerous choices when it comes to picking a PCB fabrication company. I’ve been using ExpressPCB since their software is very easy to use. The problem with ExpressPCB is the software is proprietary to their manufacturing services. They do allow you the opportunity to purchase your board files in order to have them produced by other PCB fabrication companies, however, you have to purchase a set from them first. There are other popular options for schematic/PCB software that does not lock you into their services. Two popular applications are Eagle and Diptrace. The problem is deciding what fabrication company to use in order to have your boards produced. Digital DIY has put together an in-depth article comparing some of the many services that are offered.